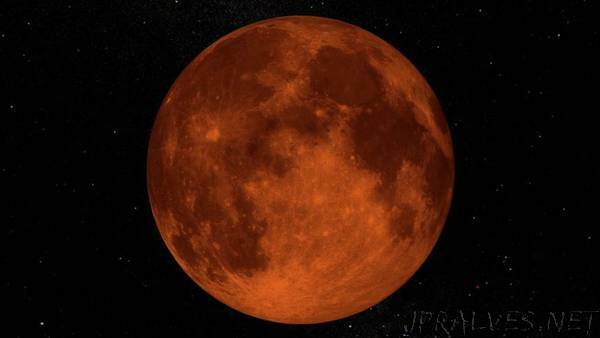 “The full moon will turn blood red on July 27 as the longest total lunar eclipse of the century takes place in the skies from Australia through Africa. A total lunar eclipse occurs when the moon passes through the Earth’s innermost shadow. When this happens, the moon turns rusty orange or deep red in color and is how it earned the nickname of a blood moon eclipse. The red moon will pair well with Mars, which reaches opposition just before the eclipse and will also appear orange or red in color. Unlike a solar eclipse, no special equipment or glasses are needed to view a total lunar eclipse, although onlookers will require cloud-free weather. Friday’s lunar eclipse will be particularly special as it is the longest total lunar eclipse of the 21st century. The total phase of the eclipse will last for an impressive 1 hour and 43 minutes, while the entire eclipse, including the partial phases, will last for over 6 hours. One reason why this eclipse is lasting so long is because it is occurring when the moon is near apogee, or the point in its orbit when it is farthest away from the Earth, making it appear smaller than normal. This is sometimes referred to as a ‘micromoon,’ and is the opposite of the well-known supermoon, or perigee (when the moon is at its closest to Earth). Another factor that is playing a role in the eclipse’s duration is the path that the moon is taking through the Earth’s shadow. During Friday’s eclipse, the moon will be passing almost directly through the middle of the shadow, maximizing the time that moon spends in darkness. The next time there is a total lunar eclipse this long will not be until June 9, 2123. For those in North America, the century’s longer lunar eclipse will not be visible as it will take place during the day on Friday. However, those living in many other areas of the world will be able to witness the celestial spectacle. “On July 27th, a total lunar eclipse will be visible in Australia, Asia, Africa, Europe and South America,” NASA said. The time that the blood moon is visible depends on what area of the world onlookers are viewing the event from. For those in Australia, New Zealand and eastern Asia, the height of the eclipse will be visible before the moon sets early in the morning on July 28. Meanwhile, those in far eastern South America and far western Europe, the total eclipse will be visible as the moon rises on Friday night. The balance of Asia and Europe, as well as Africa and Antarctica, will be able to see the entirety of the eclipse. The Delta Aquariids meteor shower peaks on July 30, but the light pollution from the moon will make it difficult to see many of the dimmer meteors on the night that the shower reaches its peak. However, the drop in natural light pollution during the total lunar eclipse will allow people to see more of the dimmer meteors.